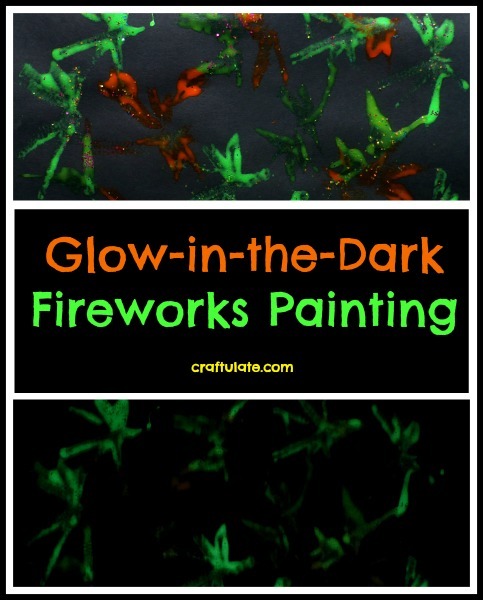 We created these cool fireworks painting with a glow-in-the-dark twist! 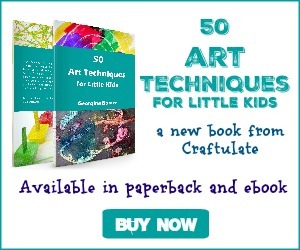 The ideal art project for celebrations. To make the firework brushes, we copied an idea from Juggling with Kids and used pipe cleaners – so head on over to her site for more information! 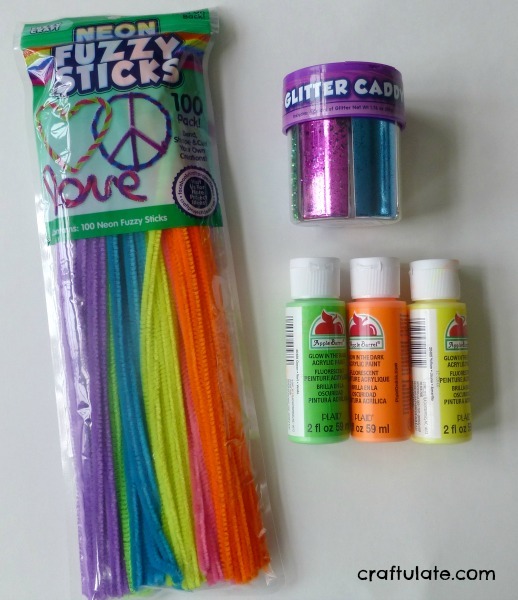 We used some neon pipe cleaners (kindly sent to us by craftprojectideas.com), matching the pipe cleaner colors to the glow-in-the dark paint I had. We created the fireworks on black card for a great contrast. I poured some paint onto plastic plates then we dipped the pipe cleaner brushes into the paint. We made some firework noises while we did it! 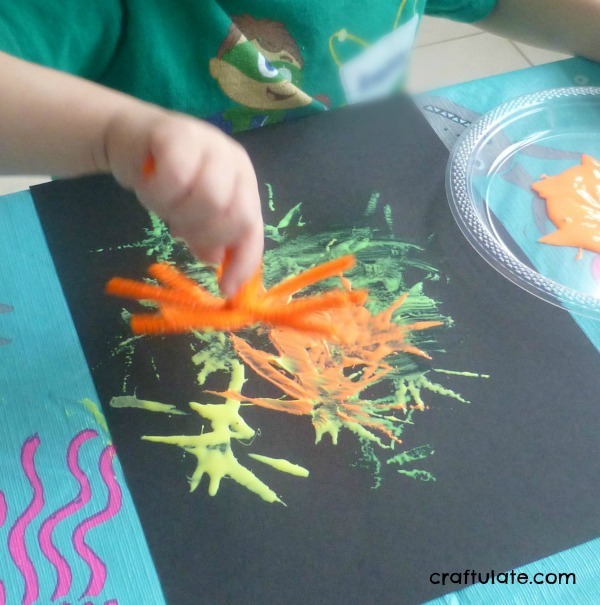 I had to dissuade F from using a sweeping movement with the pipe cleaners and make prints instead. After he’d finished painting we shook some neon glitter over the pictures. We used a glitter caddy from craftprojectideas.com but unfortunately they don’t make them any more – they offer their neon glitter in separate shakers now which is probably easier for little hands to manipulate. After the paint had dried, it was time to see how the glow-in-the-dark effect looked! The best way I know to activate glow-in-the-dark paints is to use a UV Blacklight. The paintings looked fantastic, although for some reason the orange paint didn’t glow as much as the green or yellow. This would be a great art idea for New Year’s Eve, Fourth of July(US), Guy Fawkes Night (UK), or Canada Day (Canada! ).